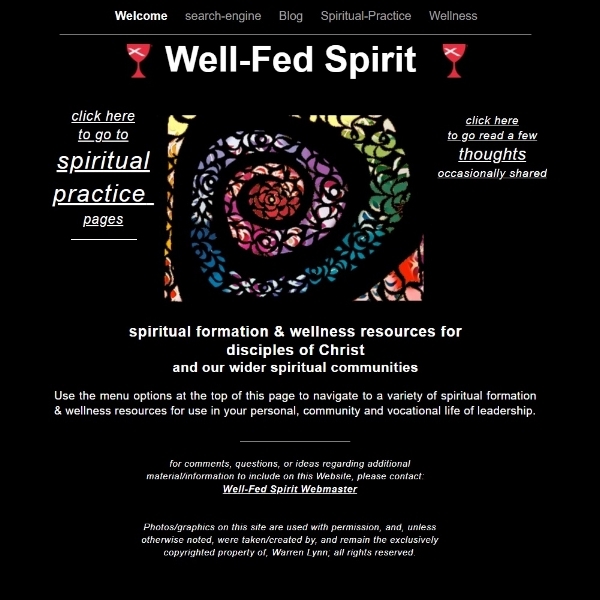 The Christian Church (Disciples of Christ) has a wonderful page (at right) with an amazing number of resources as to spiritual practices and inspirational writings. I encourage you to peruse! Just click on the "Well-Fed Spirit" image at right. You may also scroll down to links to daily devotional sites such as: Daily Bread, Our Daily Journey, Signposts, and the Christian classic "My Utmost for His Highest."